Our experienced team of solicitors represent people across England and Wales who have suffered injuries and illnesses through no fault of their own. Many claims are as a result of accidents on the roads, which can lead to life-changing injuries impacting on both the individual and their families. Most of these claims are dealt with by the insurance company of the driver at fault but even if you are involved in an accident with an uninsured driver or a driver who leaves the scene or provides false details it may still be possible for us to pursue a claim for you through the Motor Insurers Bureau. Advantage Solicitors comes into play, helping you get the maximum amount of compensation you are entitled to and more. A dedicated and specialist team will assess your circumstances and assess the claim, giving you free advice and making sure you understand the process and probable outcome of making the claim. Furthermore, not only will we work to obtain your compensation and out of pocket expenses as a result of the accident or injury, but we will also facilitate the recovery of your injuries by arranging appropriate rehabilitation. This can be in the form of Physiotherapy, Cognitive Behavioural, Therapy/Psychotherapy or other forms of Therapy. Our aim is to achieve a successful outcome of being compensated and having any treatment for rehabilitation paid for by the insurers of those at fault in causing the injury/accident. By law injury victims must commence court proceedings within three years as from the date of the injury/accident; however, we recommend that you commence your claim as soon as possible in order that all crucial information is documented as accurately as possible whilst your recollection of the accident remains fresh. At Advantage Solicitors, we will assess your injury in terms of who was to blame and why. We will be required to collate evidence from a number of sources which may include witness statements and official reports such as from the police or independent medical professionals in order to prove that your injury was caused by the negligence of the other party who would also be referred to as the defendant in the proceedings. injuries, spine and back injuries, injuries of the utmost severity, passenger claims, motorcycling claims, fatal accidents, financial losses including loss of earnings and car hire. We are the choice of hundreds of victims of road traffic accident every month and if you wish to discuss your injuries and or financial losses contact us now or complete a claim form now and one of our solicitors/caseworkers will contact you within the next 30 minutes or at their earliest opportunity. for compensation as every employer must adhere to strict health and safety regulations to ensure your safety. You can also claim personal injury compensation if your workplace injury was caused by the negligence of another member of staff. Once you appoint Advantage Solicitors as your legal representative, we will assist you in compiling your evidence and will present this to the third party insurers. 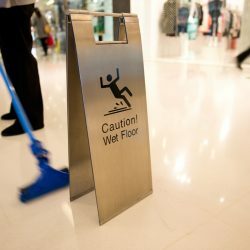 Workplace accidents are usually settled out of court, however some can progress this far if there is a dispute. If you are not to blame, why not contact us now or complete an online claim form and one of our solicitors/caseworkers will contact you within the next 30 minutes or at their earliest opportunity to discuss your claim further. understanding the following 3 steps for you- as the rest of the matter is taken care of by Advantage Solicitors. STEP 1 Once you get in touch with Advantage Solicitors, a legally trained advisor will obtain details of your accident and assess whether you can make a claim for compensation. Your compensation will be calculated. At this stage evidence is gathered in support of your claim this for instance could be a bystander who witnessed the accident and is happy to provide a witness statement. 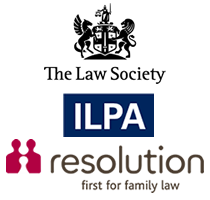 Every case is different and your solicitor/caseworker will discuss in further detail as to what type of evidence is required. STEP 2 Your solicitor will get in contact with the other party to discuss the accident and will negotiate a settlement on your behalf. The case will only go to court if a settlement cannot be reached and the claim is disputed. The case will then go to court under a ‘no win no fee’ agreement meaning that even if your claim is unsuccessful you do not need to worry about costs. Your solicitor will update you regularly in relation to the progress of your matter. STEP 3 Your claim is settled and you will receive your compensation, if on the other hand your case is disputed and the matter goes to court you do not have to worry about any solicitor fees as the case is run on a no win no fee basis. So whatever your need, pick up the phone today and speak to us on 0208 807 1676 or simply visit us, 273 Fore Street, Edmonton, London, N9 0PD. What is No Win No Fee? In simple terms, this means that is you lose your claim; you pay us nothing for our services*. 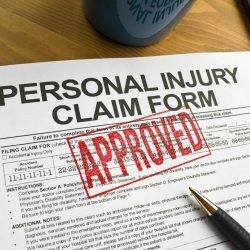 On 1 April 2013 the Government changed the law which substantially reduced the amount of legal charges that claimants who make successful personal injury claims can recover from their opponents. Although some legal charges can still be recovered, because of these reductions and in order for us to be able to continue to deliver a high level of legal services, we do make a charge to clients in all successful personal injury claims. If you win your claim, we charge a success fee, which together with any unrecovered legal charges will be limited to no more than 25% (including VAT) of the amount you recover as compensation for your injury (general damages) and past financial losses, excluding any amounts recovered for vehicle repairs, hire charges in road accident cases and medical treatment costs in all cases. The percentage charge will not be applied against any amounts awarded to you for future losses. For example, if you were awarded £2,500 (general damages and past losses) our total charges would be £625 (25% of £2,500) and you would therefore receive £1,875. Please note: If you take out after the event (ATE) legal expenses insurance on or after 1 April 2013, under the new law, the cost of the insurance premium is not recoverable from your opponent even if you win your claim, and must be paid out of your compensation on top of our 25% charge. This does not apply if your claim is for clinical negligence. Circumstances could arise during your claim which may put you at risk of having to pay costs to your opponent. This will normally be if you reject a settlement offer (Part 36 offer) made to you by your opponent during your claim and you then go to court and are awarded the same or a lower amount. In those circumstances, the court will order you to pay your opponent’s costs incurred after the time you could have accepted their offer. You can insure against the risk of paying such costs and you may already have legal expenses insurance to cover you and we will help to check this for you at the start of your claim. If you don’t have legal expenses insurance, then a policy can be taken out quite easily. You will only have to pay the insurance premium, in addition to our charges referred to above, if you win your claim and once you receive a compensation payment. If you lose there is nothing to pay for the insurance. *Subject to you entering into and complying with the terms and conditions of our no win no fee agreement. Q: How long do I have to pursue my personal injury claim? A: The law requires you to make a claim within three years of the date of the accident or the date that you became aware of the injury of condition. Q: Do I have to pay anything? A: Personal Injury victims can pursue litigation with complete peace of mind knowing that they are not required to pay anything in the event that their case is unsuccessful. Q: Will I be compensated for losses other than personal injury? A: You can claim for any financial losses or expenditure that is directly linked to the accident which could include any future and past loss of earnings. Q: I do not wish to disclose some matters in my medical records, is it ok if you do not disclose this? A: client confidentially is very important to us. So if there is anything that you do not wish to be disclosed that is not relevant to the claim, then please let us know and we will ensure that this is not disclosed in the course of the litigation. Q: How long would it take for my claim to be settled? A: Every case is different as different injuries are involved. Usually the answer will depend on whether your case is disputed or not. Straightforward cases are normally settled within 12 months. If your case is disputed your case will have to go to court which will prolong the matter. You will regularly receive updates of the progress of your case. Q: How much compensation will I get? A: The compensation that you will receive will depend on the type of claim and the extent of your personal injury, which will be determined by a medical report. Have no doubt that we will be committed to getting you the maximum compensation receivable. Q: What if I am in doubt that my case may not be accepted? You can contact our office and discuss the details of your injuries and accident with confidence. Our team of specialists will endeavour to assist you by acquiring general information about your accident and we should be able to tell you immediately whether we can proceed with your claim. If there is any problem with your claim we will notify you immediately.